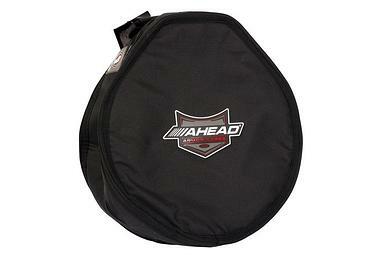 Ahead Armor Cases are one of the best cases in the market. They feature a DX Core with 2 layers of high impact foam with the softness of Sherpa Fleece lining. 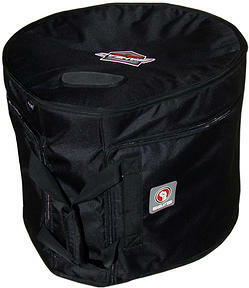 The Cases feature TruForm Design which takes the true shape of the drum to ensure a snugger fit. These cases are endorsed by the industry's best such as Thomas Lang, Mike Johnston, Mike Johnston, Adrian Young, Tony Royster Jr, JP Bouvet, Thomas Pridgen, Virgil Donati and more. EAD Armor Cases begin with their unique shape. Featuring Revolution’s patented TruForm™ design, the shape of each case corresponds to the “true” shape of the drum plus its mounting hardware. The universal teardrop design allows for a much snugger drum fit. It also allows dealers to reduce their inventory by eliminating the need to double-stock separate cases for toms with and without suspension mounts and bass drums with and without tom mounts. 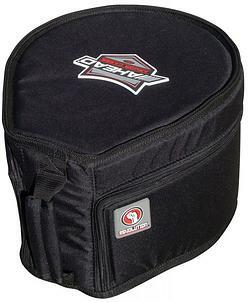 Secondly, the patented DynaZip™ zipping system makes it easier to take the drums in and outof the cases by combining an ingenious cutaway design with a zipper that travels along the diameter of the case as well as down both sides of the cutout. 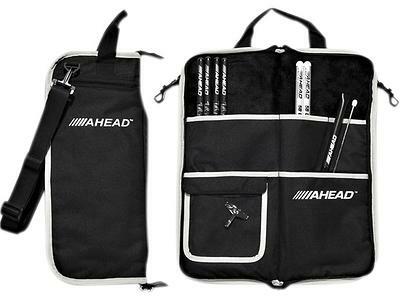 This Deluxe Stick Bag from Ahead has a durable denier exterior and a plush velvet interior. The interior also has two rows of pockets - one with a clear pocket to view spare parts and/or keys. 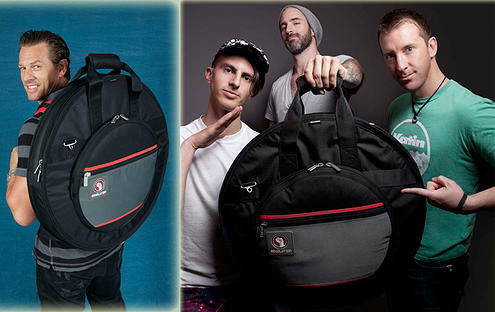 The exterior also features a shoulder strap and clips to ensure you can mount the bag on your drums as needed.